Freelancing is a quite wonderful way to live your life, freely and amazingly. In today’s market, everyone wants to earn extra income and online seems to be the best way. In this way, freelancing is the best opportunity to full fill their dreams and requirements. In this article we have discussed, 10 Best Freelance Websites for most in demand freelance jobs, which can give you tremendous outcomes in a few days. Just you need to understand the variety and variation of this wide freelance fields. 1. A tremendous lady freelancer, Harleena Singh– who works passionately in this freelance field as well as owns a fantastic blog named Aha-now.com . 2. A hard working and amazing personality (again lady), Shiwangi Shrivastva – who works delicately in Freelancing field as well as owns a blog named Pensitdown.com . 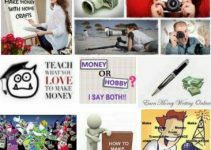 So many of people are here, who are working in freelancing and earning money with wonderful Internet reputation. You can also become one of those!! Freelancer is one of the top and best freelance websites for doing free freelancing online. Here, you can create your profile for free. Just you need to select categories according to your profession. You can also do auction for your projects. If your auction is accepted, then you will get a chance to work on that project. Another way, you can choose a project according to your interest. Don’t worry about money. It will surely get reached to your account. 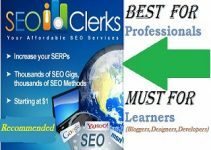 Many of the people use this website for searching freelancers for their jobs and projects. People post their jobs and projects here and submit the proposal according to the person qualification and skills. If once, proposal is accepted by project or job company, then company gives you the chance to work with them. One of the best freelance websites for all those people, who want free money online. If we talk about professionalism then, upwork comes in front of us as the result. It’s one of the professional platforms for freelancing. Many reputable business persons use this platform to outsource their work. This is also a coolest platform with cool features like sharing the desktop, visual time sheets for verifying the work etc! High quality, lower prices and Super fast work are the key features of upwork. It’s also a similar type of website like Freelancer. Can say, a new freelancing platform. Here, you just have to sign up by accepting term and conditions. After this, auction for any of the project. If your auction is accepted, then you can work on that particular project. Very easy platform and process to do freelancing online. Hubstaff Talent is a free directory for the world’s top freelancers, the main thing that sets it apart from the rest is that it is 100% free, no markups and no hidden fees. Hubstaff Talent is easy to use for both freelancers and businesses. Potential employers are able to search thousands of contractors based on skill, location or category, and contact freelancers directly – no middleman. It’s a type of the rules and regulations freelancing site. This website is specially dedicated to the freelance writers. Here, you have to submit your 3 articles. If those articles touch the editor’s emotions or they feel articles quite interesting, Immediately your all queries accept, and you will get the writing and editing type assignment. Guru domain was registered in 1988, but not has got the enough traffic respect to freelancer. But still, one of the famous freelancing sites in the world. Easy working procedure with the suitable layout is the key to success for this website. Many ultimate freelance projects, you can find here! It’s a new website in the freelancing world, as registered in 2007. But, people who want hourly work as per session, can try here to find freelance job relevant to their field. Simple can say, It’s a five dollar website, that’s why the name of the website is Fiverr. Can say, a funny website where you can get people to do things only for five dollars. For example a project looks like “I will send 2500 twitter followers for $5″. Cool… right? Cool platform to work and send your projects for fix $5. If you are from design, art and crafts department, then you must try this freelancing website, which is delicately dedicated to the designers. You can buy and sell, your graphics, logo and designs here and earn money with it. If you want to receive multiple versions from different people in heavy amount, this is your choice for the best freelance website. Note: You can directly go to the Official Website and find more information about freelancing websites in their about section. In this multiskilled world, If you don’t opt any opportunity in this Internet World. Then, It may become one of the biggest mistakes of your life. Freelancing Jobs also prove this proverb in a positive way. That’s why these best freelance websites provide you many wonderful chances to grow yourself from the bottom to top. So choose your niche, target your audience and maintain your reputation in online world to do something different from others. 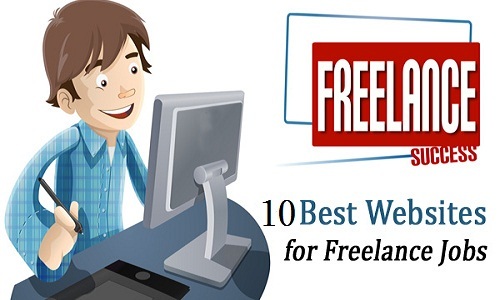 Share 10 Best Freelance Websites for Jobs with your friends also..!! I am overwhelmed to see my name in your post. Yes I am in freelance writing since long the reason why Atish gave me advice to write for your own blog so you will get more exposure. He was right though I was not taking him seriously. Now just because I have my own blog the response doubled. I am loaded with h offers and work. If anybody who want to start their career as a freelance writer can opt for a website because your website is your business card. And also above sites are helpful in generating good exposure. Vivek you have done splendid job as 3-4 are unfamiliar to me even. Definitely going to check it out. It’s really nice to see your qualitative response for this post. Freelancing is the key to success this time in Internet World. And, in this way, If you have your own blog or website, then it’s a wonderful business prospect for you. Thanks for appreciating about my work. Surely, being a freelancer, you must check 3-4 unfamiliar freelancing sites. May be, it can give your more better results. Have a Joyful Holi Week! I think in the profession of writing, if you have your own blog to showcase your work, you tend to get more offers, though maintaining a blog and writing career side by side and trying to excel in both is an uphill task. I guess of you know time management skills, you can achieve both with ease. You mentioned some wonderful sites for getting freelancing jobs. It reminded me of the time when I started my career on O’Desk and it surely caught up after that. However, now the clients come more through word of mouth and older clients keep returning, so my visits to these sites has lessened now. I am excited to write more and more about this field. This is a good thought to freelance first, after that involvement in blogging field. It gives you so much knowledge about particular area with nice lessons. You have put two wonderful mentions here – “Profession of Writing and Time Management”! Both are necessary to maintain not only in blogging or internet field, but also your working place or to maintain high class profession. You have listed out the best freelancing sites to earn money from online. This will be very helpful for the writers to earn. There are lot of writers, don’t know how and where to show their talents and also they don’t know how to earn money from online through their writing skill. You paved a way to them, by giving proper description with proper links. Thanks for sharing. Have a nice day Vivek. Keep on sharing like this. One more wonderful comment from your account. In this Internet World, many opportunities are availble for each and every person on the earth. If all will work on the Internet, then also there will be a vacant place for more! it’s a type of place for the people, by the people or to the people..similar like our law administration of nation. Another way, this point is quite good. Freelancing is not only for writers, it’s for all the people, who want to make some healthy buckets with their talent and skills. Thanks for your Important and valuable comment! thanks for sharing such a wonderful article with us, it is really helpful for me. thnx for sharing such articles……! Thanks for appreciating about this post! Great information, thanks. I will try content writing work at some of these freelancing sites. 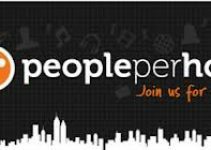 people per hour and fiverr. Is that right decision? I am new to this but i can write well. Thanks again.